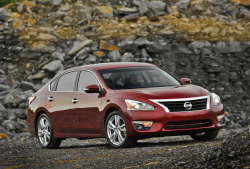 Nissan agrees to settle CVT (continuously variable transmission) class-action lawsuit. October 25, 2016 — A Nissan Pathfinder and Infiniti QX60 continuously variable transmission (CVT) lawsuit is nearly over as Nissan agreed to settle claims concerning 2013-2014 Nissan Pathfinder and Infiniti QX60 vehicles. The plaintiffs claim the continuously variable transmissions installed in the Pathfinders and QX60s are “prone to causing sudden, unexpected shaking and violent jerking.” The lawsuit alleges the Nissan Pathfinder and Infiniti QX60 transmissions can prevent the vehicles from accelerating as intended because of violent shuddering and jerking actions. The vehicles are equipped with continuously variable transmissions known as the “JATCO CVT8HT” that were allegedly defective before they were even installed in the vehicles. The settlement agreement concludes three separate class-action lawsuits that allege Nissan transmissions cause the Nissan and Infiniti vehicles to violently shake and jerk during acceleration. The plaintiffs claim Nissan knew about the transmissions but refused to recall the vehicles, leaving owners driving vehicles that were clearly dangerous. 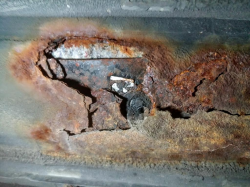 The lawsuit also alleges owners had no choice but to pay for repairs to the transmissions while the automaker refused to reimburse consumers for the expense. 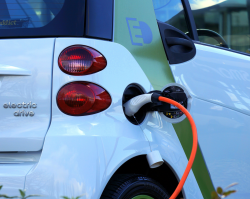 The automaker advertised the Nissan and Infiniti vehicles as being safe while knowing about the transmission problems, all so the automaker could make money while putting occupants in danger. The plaintiffs say the combination of the transmission judder and the failure of the vehicle to accelerate is associated with a "CVT belt slip" condition that creates a danger to all on the roads. 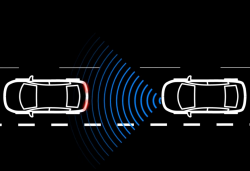 The plaintiffs say Nissan began developing a software countermeasure before any of the vehicles were sold and as of the first week of December 2012, Nissan was secretly reprogramming Pathfinder and QX60 vehicles prior to sale. The CVT lawsuit also alleges a technical service bulletin was issued to dealers within the first three months of the first sale of the affected vehicles. The first attempt at a fix through software reprogramming allegedly failed to address the transmissions symptoms of shuddering, jerking and shaking. The lawsuit alleges that less than five weeks after the Nissan Pathfinder and Infiniti QX60 vehicles went on sale, Nissan began reprogramming the software installed on the transmission control units of the vehicles. According to the plaintiffs, the reprogramming was a failed attempt to fix the juddering and belt slip of the transmissions by using software as a "countermeasure" to fix the symptoms. The plaintiffs claim Nissan and Infinity ignored transmission complaints and kept selling the vehicles even though the transmissions were defective. Nissan says it decided to settle the lawsuit instead of spending what could be years in court. However, the automaker continues to deny there are problems with the transmissions. Court documents say Nissan uses other CVTs that don't experience the transmission problems because they are belt-driven, whereas the transmissions affected by the alleged defect are a chain-driven design. 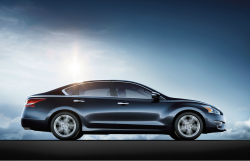 If the settlement agreement is finalized by the court, affected Nissan and Infiniti owners and lessees will receive a transmission software update and a warranty extension by 24 months or 24,000 miles. However, the warranty coverage affects only certain aspects of the transmissions and not the transmission control units. Former 2013-2014 model year Nissan Pathfinder and Infiniti QX60 owners will qualify for Nissan's "vehicle purchase program" (VPP) that enables a consumer to purchase or lease a Nissan or Infiniti vehicle at a pre-negotiated price. However, there are details that apply to the offer. A former owner will only qualify if they can show warranty records of having at least two transmission replacements or repairs to the torque converters or transmission assemblies. Additionally, a consumer must take advantage of the Nissan VPP offer by March 15, 2018. 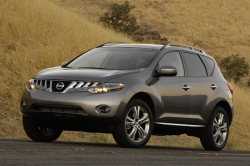 The Nissan Pathfinder and Infiniti QX60 transmission lawsuit was filed in the U.S. District Court for the Southern District of Florida - Batista vs. Nissan North America, Inc. 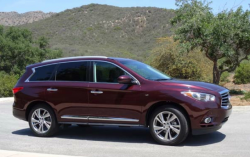 The plaintiffs are represented by Berger & Montague PC, Cory Watson, P.C., Newsome Melton LLP, and Weil Quaranta McGovern PA.
CarComplaints.com has complaints about Nissan Pathfinder and Infiniti QX60 vehicles.